The Israeli government has decided to continue its official assistance to Haiti as part of the global effort of reconstruction of the country. This will be coordinated through MASHAV - Israel's Agency for International Development Cooperation, Ministry of Foreign Affairs. The Israeli ambassador in Santo Domingo, Amos Radian, is in contact with the authorities in Haiti to find an appropriate site for building an Israeli Children's Village and to obtain the necessary approval. The project plans include an elementary school that will operate in two shifts; a playground/sports field; and a medical center. The site could also be utilized for conducting evening adult education classes. A planned community center will work with youngsters on post trauma treatment and counseling, psychological rehabilitation and afternoon activities. • On 18 February, a school serving 400 pupils was opened in the IDF tent compound that was left in place after the initial emergency relief efforts in January. The school, the third temporary school to be opened, was organized by Natan - the Israeli Coalition for International Humanitarian Aid. Approximately 1500 pupils are attending the schools that have been opened so far. Teachers have also been trained in how to treat the children for trauma. The first co-existence meeting of 2010 took place on February 16th as midwives and health practitioners from both sides of the Israel-Palestine conflict gathered to share personal stories, professional development and the political, personal, financial and social difficulties they encounter in their profession. At the meeting, midwives from the West Bank's only birth center, Mithaloon, accepted a generous donation from Circle of Health International (COHI) partner organization, MADRE. This donation will help cover salaries, supplies and upkeep of the birth center, which provides a safe place for women to give birth and receive needed health care. To add to all this good news, one of the amazing COHI volunteers, Tenley Spatz, has secured a grant that will allow shipping of an ultrasound machine, donated by Remedy in New Haven, to Gaza, where it will be used to provide prenatal monitoring and care to pregnant women. ALYN Hospital experts from Israel are flying to Haiti to assist in the Rehabilitation of Amputeesand begin the next phase of recovery. Medical professionals from ALYN Hospital – (www.alyn.org) – Israel’s premier rehabilitation center for physically disabled children and adolescents – under the auspices of IsraAID (www.israaid.org), will arrive in Haiti Wednesday, February 17th to examine and evaluate the type and number of injuries an amputations, as well as assess the abilities of the local medical staff in Haiti to carry out the necessary rehabilitation of its people. The exact number of injuries and amputees in Haiti is still unclear, but experts believe that record numbers of people may have lost limbs either from injuries sustained from building collapses and falling debris or from life-threatening infections contracted in the days and weeks following the quake. As the emergency response shifts from rescue and recovery to rehabilitation in Haiti, Israel is at the forefront again, sending a team of experts who specialize in rehabilitation. This mission is part of a broader mission to Haiti that includes the Israel Center for the Treatment of Psychotrauma of Herzog Hospital and "Tevel b'Tzedek" which would include nation wide post trauma training for international staff and government officials on the ground. ALYN Hospital is Israel’s premiere comprehensive rehabilitation center for physically disabled children, adolescents and young adults. It is unique in both what it offers and how it offers rehabilitation. All of the necessary rehabilitation services (medical, para-medical and educational) are under one roof and the staff combines expertise with love to help each child reach his or her highest possible levels of mobility an independence. Tevel b'Tzedek is a pioneering Israeli NGO working on issues of social and environmental justice. It is the first Israeli NGO to bring Israeli and Diaspora Jews together to study and work in developing countries and at home in order to eliminate poverty and develop a Jewish approach to justice in a global world. Tevel b'Tzedek's projects integrate education, youth and women's empowerment, health, agriculture and income generation in order to revive marginalized communities in Nepal, Israel and now Haiti. It is estimated that in North America there are approximately forty million individuals with chronic kidney disease at various stages of severity. Among these, approximately half a million individuals have the final or end-stage of kidney disease requiring life-sustaining dialysis or transplantation. The comparable number in Israel is approximately 3,000 individuals. While these therapies are life-sustaining, they are associated with a reduced quality of life and increased mortality. In regions of the world where dialysis and transplantation are not available, end-stage kidney disease is fatal. Until recently, it was thought that genetic factors make a relatively minor contribution limited to a few rare forms of kidney disease with a clear-cut familial hereditary pattern. However, the now well-documented observation of marked disparities in the prevalence of the most common forms of end-stage kidney disease among different population groups in North America, suggested that genetic factors may play a more important role than previously considered, in almost all forms of kidney disease. In particular, African-Americans have an approximately 4-fold higher rate and Hispanic-Americans an approximately 2-fold higher rate of end-stage kidney disease requiring dialysis or transplantation, compared to Americans of European ancestry. There is a comparably higher rate of high blood pressure and other manifestations of kidney disease. The finding that these disparities could not be attributed solely to socio-economic, cultural, dietary, or environmental factors, strongly pointed to a major genetic contribution to common forms of kidney disease. Indeed, genetic mapping studies reported by American groups of researchers during the past two years, identified a specific gene on chromosome 22 (MYH9), and which is expressed in the kidney, as explaining the African ancestry genetic risk. 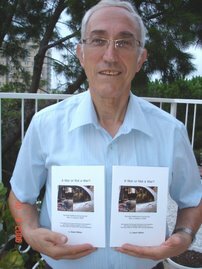 In the current issue of the prestigious journal "Human Molecular Genetics", an American research team working with the Israel Institute of Technology and Rambam Medical Center in Haifa, together the Hadassah Medical Center in Jerusalem Israel, and in collaboration research colleagues at Tel Aviv University and the National Institutes of Health in the USA, report finding the very strong predictive association of new markers within this gene, with common forms of end-stage kidney disease in different population groups. In the current study, the researchers found a particular suite of markers which designate and allelic variant of the gene, which appears to have originated in Western and South Africa, carries with it a high risk for kidney disease, when present in admixed populations, such as Hispanic Americans. Thus, while the researchers report an overall genomic African ancestry contribution of approximately 85% in African-Americans and 30% in Hispanic-Americans, the African risk variant of this particular gene confers an increased risk for end-stage kidney disease of between 3 to 5 fold. This is one of the highest ever reported genetically based set of risk markers for a common disease state, and leads to consideration of utilization of the markers for population health screening in the prevention of kidney disease. Furthermore, the finding of these predictive genetic markers, paves the way for identifying the actual genetic mutation which promotes kidney injury, and will hopefully lead to the development of preventive and therapeutic interventions. In this regard, HIV-associated end-stage kidney disease is the most highly associated form of kidney failure with these newly reported risk markers. The same Technion and Rambam based research teams had already reported four years ago, that in contrast to African-Americans, Ethiopians seem to be completely protected from this form of kidney failure, and therefore may hold the clue that connects the function of this gene with healthy kidneys. Not more than a stone's throw from the border with Gaza in the western Negev, my wife and I took a couple of days off from the usual routine to cut ourselves off from civilisation (or so it seemed) and visit the "blooming" desert region of the country following the wonderful rains we have had. The journey started at the Media Center (SMC) in Sderot http://sderotmedia.org.il/ . The center's media outreach, education seminars, and social media projects have brought the story of Sderot to millions of people across the world, including political leaders and international. As Noam Beduin, the head of the center told me, journalists visiting the area after being brainwashed in Gaza, see a town rebuilt with little outward signs of the effects 10,000 rockets over the last 8 years. however the trauma of the residents of this gutsy town has created many social problems. The center offers tools to the Sderot community in the area of social media so that psychologically traumatized residents learn to express their suffering through the arts of the media in theater and writing. This year, SMC is running the Sderot Community Treatment Theater for Sderot high school girls. The theater company will eventually perfom across Israel and the world, with the aim of allowing outside audiences to listen and absorb the real life experiences of the Sderot "actresses" translated into their performance. Our journey then continued south parallel to the Gaza border, where we spent time cyling and walking amongst the most incredible sights of fields, as far as the eye could see, as carpets of red and also white, yellow and other colours. At one kibbutz, where we cycled around the fields, we came across a beuatiful carpet of red with tables and chairs set out amongst the flowers as preparations were underway for a barbeque lunch. To sit and enjoy a lunch in such surroundings can only be descibed as idyllic. This, then is the Western Negev "desert", an area developed where human beings have reversed the threat of desertification as is happening in so many countries. Trees abound to keep the top layers of earth from being blown away and if one could imagine a true "Garden of Eden", then surely this area must qualify. Ethiopian-Israeli scholarship student, Million Haile, whose father came to Israel with Operation Moses and is himself a proud graduate of the Leo Baeck Education Center, delivered an outstanding speech at the 61st anniversary session of the Knesset last week. Million elicited rousing applause with her passionate speech about the State's coercion of the Ethiopian new immigrant population to study within a religious educational framework. Million was one of 22 Leo Baeck Senior High School "Debate Club" members, who came together with students from all over Israel as honored guests of the Knesset. The students participated in the deliberations of three Knesset committees: Foreign Affairs and Defense, Education and Finance. Each student, accompanied by an MK, briefly addressed the plenum session, held in the presence of President Shimon Peres and Prime Minister Netanyahu. President Peres urged the students to enter political life, saying, "There is nothing more fascinating... anyone can be great if he or she serves a greater purpose." The entire experience was a thrill for the students, and a huge honor for the Leo Baeck Education Center. In the words of Leo Baeck Senior High School Principal Dani Steiner, "This fist hand experience of Israel's governmental system is the essence of true learning." The Circle of International Health COHI www.cohintl.org announced that on February 16th, about 15 midwives from Israel and Palestine will attend the first coexistence meeting of the new decade. The goal of the meeting is to continue the efforts of coexistence that was started last year and to bridge the gap and reduce differences that have been created from of decades of war. The midwives will socialize and talk about their work, discuss professional and personal stories and learn from each other's experiences. The midwives in the north of Israel are continuing to do routine follow-up for pregnant women and post-partum women from the African community who live in a shelter for women & kids. Our local Carmel Hospital (in Haifa) is providing free treatment to the project's refugee women. The women are all welcome and taken care of by the most professional staff in a good and caring atmosphere. A post-partum doula went out of her way to support, travel, and help organize services for one refugee who needed special care, staying hours with her before, during and after birth. An OBGYN who does ultrasound check-ups and routine follow-ups for women voluntarily in his clinic. There have been a lot of discussions about Israel's security methods, even the Harvard Business School got involved. I just know that I feel comfortable with the security arrangements even though it is sometimes inconvenient. There are just too many attempts at terror attacks which fortunately are stopped before achieving the aim. Too many attenmpts that are not newsworthyy so they don't get reported. It is now reported that last month, the Israel Police arrested two Israeli Arab citizens of East Jerusalem at the Beer Sheva Central Bus Station, who were suspected to have planned terror attacks on Israeli territory. During the search of their belongings, the police found a portable memory card with detailed plans for terror attacks in central Israeli targets, such as the Jerusalem Central Bus Station, the Tel Hashomer Medical Center, the tourist hotel area in Tel Aviv, the Malha Mall in Jerusalem and soldiers' bus stops in Jerusalem and Mevasseret Tzion. Merad Namar (25) from Sur Baher and Merad Camal (25) from Wadi al-Joz, who both held Israeli IDs, were arrested after they had raised the suspicion of civilians at the Beer Sheva Central Bus Station. Investigations by the Israel Security Agency show that the suspects were recruited by Hamas commanders abroad to collect information on possible targets for terror attacks in Israel. The recruitment took place in Jordan and Dubai, where the two suspects had been staying in the months before their arrival in Israel.Throughout the past few months, Namar and Camal held additional meetings with foreign agents in Saudi-Arabia, Jordan and Turkey. In addition to that, they were scheduled to receive weaponry and explosive devices from their commanders. Today, Monday (Feb. 1), an indictment was filed against the two suspects at the Jerusalem District Court, on the grounds of conspiracy with foreign agents, membership in a terror organization, aiding the enemy and espionage.